Under a clear blue sky with a cooling breeze from the Atlantic Ocean blowing across Everest in sweltering heat, Guyana Captain Shemaine Campbelle waltzed to the first century in the Colonial Medical Insurance Female Super50 Tournament against Jamaica in their second round match at Everest yesterday. But a delightful 119 for Jamaica’s Captain Stefanie Taylor overshadowed Campbelle’s effort and powered Jamaica to a six wicket win. Guyana Skipper Shemaine Campbelle celebrates after reaching the Tournament’s first ton at Everest yesterday. Taking advantage of a flat track and fast outfield, the 26-year-old Campbelle, with West Indies Test and ODI experience, reached the boundary 14 times and cleared it twice in a masterful 118-ball 111 from 149 minutes of high class stroke-play. 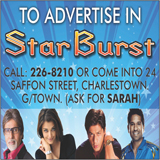 Campbelle featured in a 48-run stand with Sheneta Gajnabi who hit three fours in a 35-ball 20 and 98 with fellow Berbician Tremayne Smartt, last out, off of the penultimate ball of the innings for an intelligent 58 from 64 balls, 81 minutes with six boundaries. 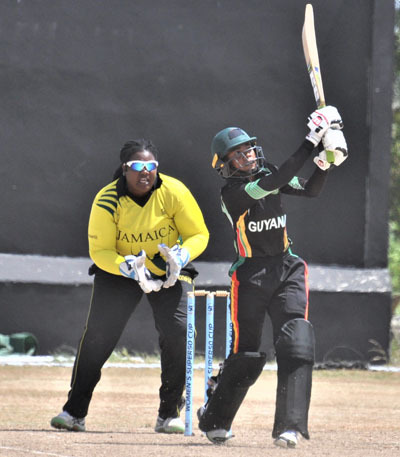 Off spinner Taylor had 3-44, while left-arm spinner Alecia Bookal took 2-36 for Jamaica, who took advantage of some ordinary out cricket to win the exciting contest by four wickets. 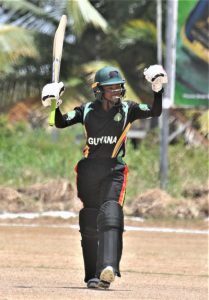 But West Indies Women’s leading batter, Taylor, responded with her ton, a commanding innings of 119 from 118 balls, 160 minutes decorated with 16 fours and a six to take Jamaica to a second consecutive victory as they reached 244 -4 in 46.4 overs in reply to the 242 all out in 49.5 overs made by the host. Taylor stroked 16 fours and two sixes in her 118-ball and 160-minute knock and shared in 119-run second wicket stand with Rashada Williams, who hit two boundaries in her 47 from 96 balls. Chedean Nation made 30 from 39 balls, while Chenille Henry who finished the game with a flurry of boundaries, was unbeaten on 23 from just nine balls with three fours and a six. 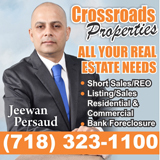 Jodian Morgan was the other not out batter with 19 from 16 balls with a six and a four. Left-arm pacer Erva Giddings finished with 3-39. Shemaine Campbelle was in magnificent form as she deposits Vanessa Watts for six during her 111 at Everest yesterday. 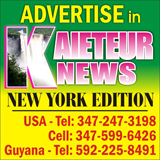 After Natasha McLean was bowled by the impressive Giddings for a duck in the first over without a run on the board, the 27-year-old Skipper Taylor, who has been playing at this level since she was 10, destroyed the Guyanese bowling who got no support from a woeful display from their fielders. 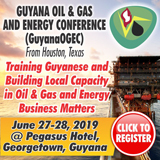 Taylor was given a reprieve when on one when Shabika Gajnabi failed to pick up the ball at short square leg with the batsman stranded and she made Guyana pay dearly for a number of lapses in the field. Taylor reached her 50 from 67 balls with six fours and a six when she clobbered Smartt onto the sightscreen. Williams started slowly but her confidence increased as her innings progressed before she was bowled by Giddings at 119-2, while Taylor square drove Giddings for four and smashed her through the legs of Gajnabi at point for another four. 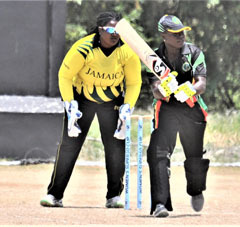 Taylor flicked Giddings for four and greeted off-spinner Mandy Mangru with a scintillating sweep for four while Nation also batted positively as the pair carried the score 201 when Giddings trapped Nation LBW after Taylor had reached her century from 98 balls with 14 fours and a six. After Taylor was bowled by Giddings at 201-4 Morgan and Henry, who hit Akaze Thompson for boundaries, finished the contest with 5.2 overs to spare. Tremayne Smartt made 58 and added 98 for eighth wicket her Captain yesterday. Earlier, watched by a decent turn out which included Chairman of the Windies Selectors Courtney Browne, Campbelle got little support from her top order as Mangru (11), Sheneta Grimmond (3), Lashuna Toussaint (0) and Akaze Thompson (2) all perished cheaply as Guyana slipped to 57-4 after the 50 was posted in 14 overs. Campbelle got going with a sweetly timed extra cover drive off Chenille Henry before punching her to the point boundary in her next over. The little right-hander drove Vanessa Watts past mid-off for four before dancing into the off-spinner and lofting her for six. Campbelle continued to flow and audaciously swept Chedean Nation for four before hammering her to the mid-wicket boundary to move to 49. Campbelle soon reached her 50 from 55 balls, 65 minutes with six fours and a six before celebrating by sweeping Taylor and cutting Bookal to the point boundary. But when Gajnabi cut Bookal to point after giving her Captain excellent support Guyana were 105 with half of their team gone. Things got progressively worse when Melanie Henry (0) and Cherry Ann Fraser (1) departed in the space of two runs as the home team slumped to 114-7 and Campbelle who was run out for 45 against T&T, was again in danger of being left stranded as wickets fell around her. But Smartt joined Campbelle and the Tucber Park all-rounder cut Henry for four before smashing Taylor for another four as the partnership began to take shape. Campbelle, from Rose Hall Youth & Sports Club in Berbice, lofted Henry over her head for six before blasting her to the cover boundary. Another boundary off Nation took her to 96 before she slashed Nation for her 13th boundary to reach her hundred which came from 108 balls, 136 minutes with two sixes and 13 fours. Smartt also played her shots and used her feet to spank Taylor for four, while Campbelle cover drove Taylor for a boundary before she was caught at long-on trying to hit Taylor for six at 212-8. 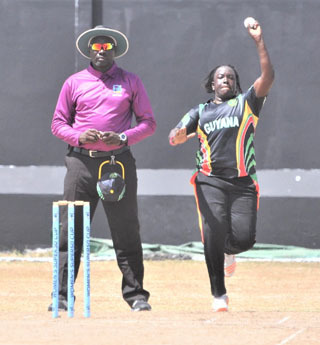 The 33-year-old Smartt soon reached her 50 form 57 balls, 73 minutes with six fours before she lost Giddings (4) at 229-9 and then fell to Henry in the last over.